Submit 123 PR CEO Qamar Zaman says there are three major challenges faced by marketplace businesses today that can be overcome with press releases via online distribution. Marketplace businesses are notoriously known for being difficult to get started, but during present times, more and more entrepreneurs are choosing this as their business model. Why? It could be a fascination with the high reward that accompanies the high risks. Marketplace companies like eBay, Craigslist, and Amazon have made their mark in the “you can buy anything” game, earning millions of dollars annually by bringing buyers and sellers together. Even niche marketplace enterprises like Priceline and Hotels.com have also achieved sustainable brand recognition. So for up and coming marketplace businesses that are seeking to also make their mark, the question becomes what is the best pathway to success? Many marketplace businesses don’t know who’s more important to market to first, buyers or sellers? Not wanting to take any risks of alienating either group, a number engage in mediocre marketing efforts that don’t hit home with either, and essentially amount to a waste of time. 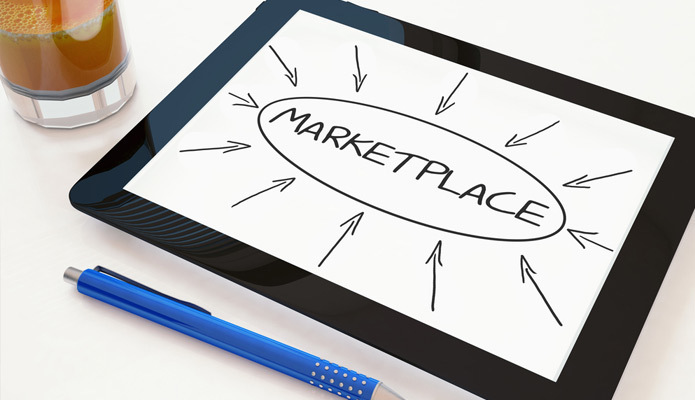 Limited control over the presentation of their products - Listings for products and services in a marketplace setup are not always uniform. Zaman says that press releases can help these types of businesses in building their brand, by leading customers to the overall message they should be focusing on. Bridging the gap between “suppliers and demanders” - Zaman notes that with services like Submit 123 PR, there is no limit to the number of press releases marketplace businesses can disseminate, therefore the unique needs of both buyers and sellers can be targeted in select releases. Marketplace business that are seeking an effective marketing platform for their companies can visit http://www.submitpressrelease123.com/ for more information about the range of benefits that press release distribution services like Submit 123 PR have to offer.